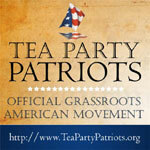 20 February 2010: Small groups of fiscal and social conservatives in the United States began meeting in Spring 2009 under the moniker of Tea Parties -- the Chicago Tea Party, Kentucky Tea Party, and so on -- to organize small, but vocal local protests against big government and high taxes. The groups were loosely coordinated by Internet websites and promoted by right-wing radio and television talk show hosts. Their name is intended to invoke the 1773 Boston Tea Party revolt of the American colonists against English taxation without representation, a pivotal event leading to the American Revolution. The current Tea Party Patriots, as they refer to themselves, want a second American revolution to fight what they perceive is a ruling class in Washington that is unresponsive to their needs. The Tea Party movement gained national prominence in September 2009 when a march of local Tea Party groups on Washington, DC attracted, by some estimates, as many as two million people. 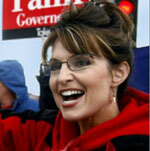 The first Tea Party national convention in February 2010 was covered by network television in the US. A distinguishing feature of the Tea Party movement has become the reliance of its leaders on racial codes to communicate. Although race is rarely mentioned overtly, Tea Party supporters press racial hot buttons to provoke the anger of conservative whites over race and the cities where most racial minorities live. The opening speaker at the Tea Party national convention, former Republican Congressman Tom Tancredo, told participants that President Obama was elected because “we do not have a civics, literacy test before people can vote in this country,” an allusion to the use of literacy tests in Southern states to deny the vote to African-Americans before the civil rights era. Most Tea Partiers  there are an estimated 19 million  are whites who seem to have come of age during the 1960s, but did not participate in civil rights or other countercultural movements of the era. Indeed, a pre-civil rights era before dramatic social and cultural change seems to be a well of inspiration to Tea Party members. At the national convention, keynote speaker Sarah Palin (former mayor, former governor, former vice-presidential candidate) warned attendees that “government is on your back” and “you should keep your money,” insinuating that “high taxes” for public services are wasted on “illegals” and minorities. Race, in other words, simmers just below the surface of seemingly nonracial issues like health care reform, public spending, immigration, and taxes. In Tea Party code, “heartland” often means “white”  what Palin calls “the real America”  while “coastal state” refers to urbanized communities with high proportions of racial minorities that also serve as “gateways” for Latino immigrants. The standard bearers of the Tea Party movement (mostly right-wing commentators and conservative Republican politicians) want no less than to portray economic liberalism and the government social safety net as a fraud perpetrated by a Washington ruling class against self-sufficient, small-town whites who are forced to pay an unfair amount of taxes to support the welfare queens and food stamp cheats in the big cities and coastal states. It doesn’t seem to matter to Tea Partiers that a disproportionately high share of the federal government’s tax revenue comes not from the “heartland” states but from racially-diverse, immigrant-rich, highly-urbanized states like New York, New Jersey, Illinois, and California. The Tea Party movement is a direct descendent of the anti-tax, segregationist politics that swept the southern United States in the 1950s and 1960s. It is a politics of “tax cutting,” “privatization,” “free enterprise,” and “individual freedom” that -- thanks primarily to former Presidents Ronald Reagan and George W. Bush  remains extremely popular in America’s white outer suburbs and exurbs. American middle-class whites repeatedly express conflicting desires in opinion polls: they want more government services, but lower taxes; a federal job-creation program, but federal spending cuts; universal health care, but fewer government regulations. Above all, they believe that everyone is getting a handout from government  politicians, labor, business, minorities, cities, immigrants, foreign countries  except them. Reagan and Bush exploited white middle class confusion and, through radical laissez faire economic policies, turned it into rage. Bush’s 2006 budget was subtitled Blueprint for the Middle Class, yet it set the stage for a global recession, record unemployment levels, and the Tea Party reaction. The freedoms desired by Tea Partiers include the freedom to love money, zone neighborhoods, and protest taxes. They are individual freedoms divorced from the common good. The appeals of Tea Party stalwarts to suburban and exurban whites, who feel threatened by cultural and economic change are populist and racist. Such a mixture is incendiary and caustic, with consequences that are unknowable. Perhaps we should not be surprised that the Boston Globe reported that President Obama received an unprecedented number of death threats during in his first year in office, or that the Justice Department reported an escalation in race-motivated crimes last year. According to recent polls, most Americans regard the Tea Partiers as fringe activists, removed from the mainstream. Whatever traction the movement gains, however, will likely be at the expense of cities and the people who live in them. In June 2009, Albertville, Alabama (pop. 24,000) became the latest US city to pass an ordinance making English the city’s official language. Albertville Mayor Lindsay Lyons maintains the ordinance will be “a unifying factor,” bringing together immigrants and English speakers. “It will greatly enhance” the quality of immigrants’ lives, says Lyons, by encouraging them to learn English. At least 30 US cities, including Hazelton, Pennsylvania (pop. 23,000) and Green Bay, Wisconsin (pop. 102,000), have adopted English-only legislation. Hazelton Mayor Louis Barletta credits the law for a drop in the number of illegal immigrants moving to his city. English-only legislation is closely tied to the debate over illegal immigration in the US. An estimated 11 million illegal immigrants, mostly from Mexico and Central America, reside in the United States. How to deal with these undocumented workers and their families has frustrated US policymakers for years. Proposed remedies range from legalization to deportation of illegal immigrants. Within the context of this debate, the movement for English-only laws arose. These laws declare that all official actions of the government must be conducted in English.